Moving up the ladder isn’t based solely on your work ethic and attendance record. To get ahead, you must exude confidence as a go-getter and be a game changer. Often how we show confidence is through our fashion choices. While keeping things business oriented is a good way to do that, throwing in some custom accessories that are daring can help you stand out from the crowd as one who is willing to be a risk-taker. Here are a few tips on just how to accomplish that. It sounds cliché but it’s true, investing in yourself is the best investment you could possibly make. When selecting, a unique and daring accessory, you are going to shell out some serious cash. This is you and you deserve the best. Additionally, the piece should reflect who you are. That fantastic quirky bit of you that others may not see. It allows you to say “take notice, because I am here to stay and get things done!”. When you invest in yourself, you set precedent for how others should treat you. Do not hold back and really reflect your worth! Focus on that one type of accessory you love to wear and wear often. That is where you will add in your unique piece! 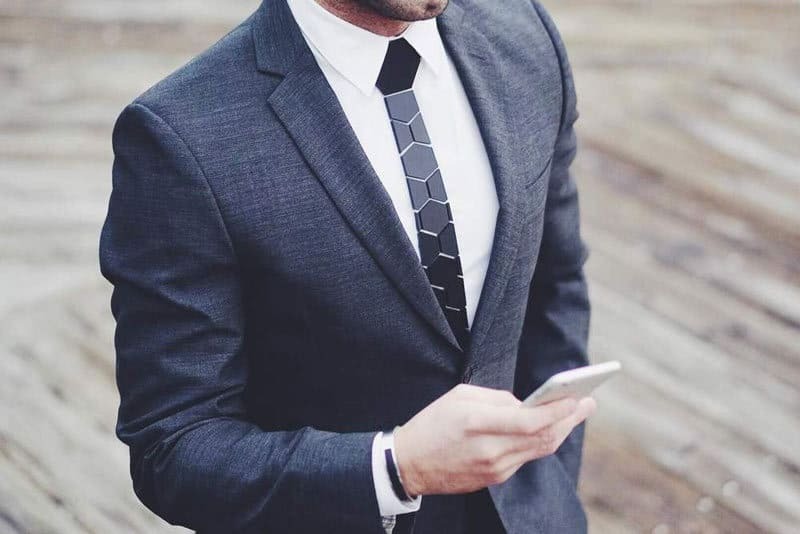 So, let’s say you wish to upgrade the tie you wear with your suit? You will want to consider a Hex Tie. They are fun, unique, and will stand out at the office. Additionally, it’s a perfect addition to your wardrobe as you can easily take in cocktail hour with the boss, then jet off to a club with friends without feeling the need to change your outfit. Dare to be different! If you would prefer, look to upgrade your watch. There is a reason why luxury watches are all analog. They tell another that the wearer oversees their life. Are you in charge of your life? Of course, you are! So, find yourself a unique watch, one that reflects you, and invest in it. It’s really that simple. Find that thing that no one else is wearing. Be the trendsetter! Look, you already know that you should dress for success. What we are talking about here is being and looking confident through luxury accessories. It takes confidence to wear unique items, and it will come through in your power pieces. Someone else could wear your same item, with less confidence, and it won’t look nearly as good. Flaunt who you are unashamedly! You work hard and you play hard. Your accessories should reflect your personality, your wealth, and your successes. You don’t want to sit on the sidelines, you want to be in the game. Get noticed and be the celebrity. Not only will you attract more success and wealth, you will gain new connections and cement yourself in this life as a force to be reckoned with.